The gardeners' enemy - and the growers'. Alpine plants can suffer more from weeds than other, larger plants. Tiny cushion plants can become almost smothered with weeds and if weed seeds lodge among the leaves they are almost impossible to remove. And weeds never look pretty. How do we as growers control weeds in the pots we sell you? Well, I don't know about other growers, but we operate on a policy of Zero Tolerance. We constantly keep them in check - entirely by pulling them out when we see them. It's not easy, but it works for us. Does it matter if an alpine in a pot has a few weed? I think it does. I have visited nurseries which were jumping with weeds and even though I knew I would regret it later, have bought plants. Some weeds can just infest small alpines - there is no other word for it. Weeds seeds can get into the heart of the plant and are there forever. We avoid this on our nursery and won't send out weed-infested plants. These are my top three weeds - the ones that would cause us most concern. 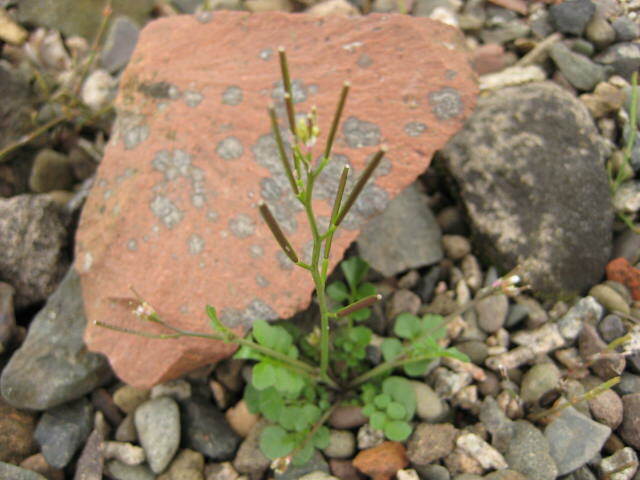 Hairy Bittercress, also known as Snap weed or Pop weed is common on most nurseries. Its seed capsules have an exploding mechanism which catapult the seed far and wide. And within a few weeks those same seeds will have grown and be ready to produce the next crop so we must be vigilant. What really annoys me with Bittercress is that some growers will weed their plants before dispatch but within a few days of purchase you suddenly realise what else you have bought. Grrr! 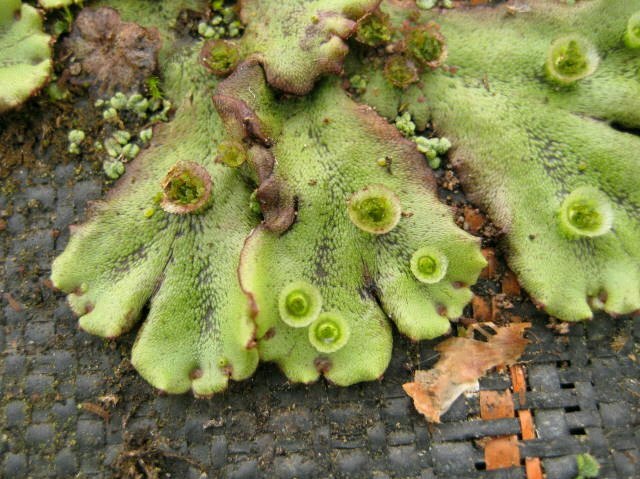 Liverwort is a strange, primitive plant and another troublesome one. It thrives in moist, damp conditions, just like we have on our nursery. It grows over the surface of compost and can smother very small alpines. See those little cup-shaped bits on the leaves? - they are filled with minute pieces of plant that are dispersed when rain or irrigation water splashes them around. In dry conditions they won't survive but with over-watering (or a Scottish winter, or a Scottish summer!) they can spread rapidly. Liverwort also produces 'seeds' (actually spores) that can germinate too, and are produced from angular capsules on short stems. The best control is dry conditions. 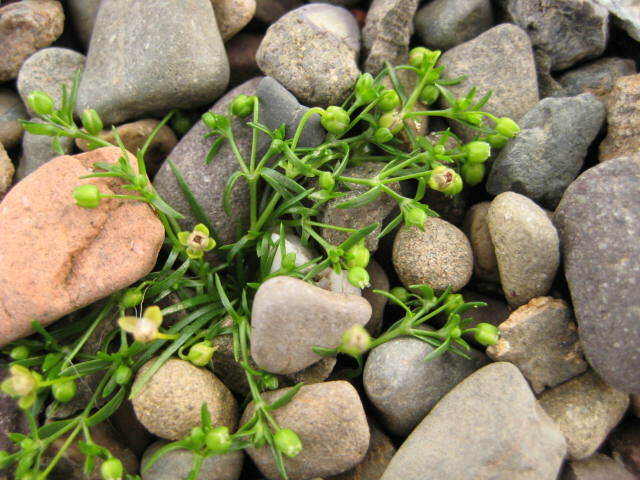 Pearlwort is a common weed that produces masses of tiny seed. These can be especially troublesome on smaller alpines and like Liverwort, is most annoying if you grow alpines in troughs or in pots. So there you have them - my top three weeds to avoid in alpines. Be vigilant!